We love outdoor entertaining once the warm weather finally arrives, but we can't justify spending top dollar for furniture and décor that can only be used for half the year (or less). To satiate our need to design the chicest possible patio situation but also keep our finances in check, we aim to look for stylish outdoor pieces that can seamlessly transition indoors come fall. That's where CB2's chic outdoor offerings for summer 2018 come in. 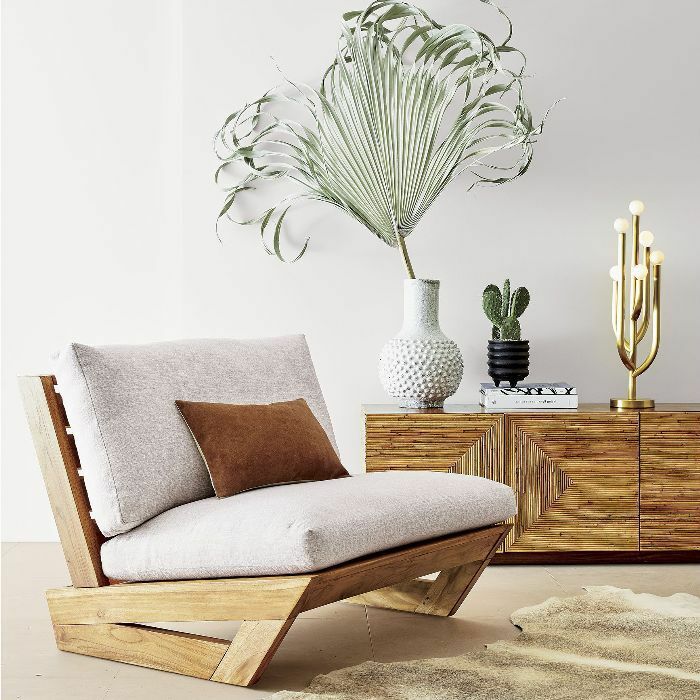 Not only does simply viewing the new lookbook transport us to a sun-soaked poolside patio, but the brand's Sunset Teak Lounge Chair, in particular, has budget-friendly versatility written all over it. Designed in collaboration with fashion brand Fred Segal, the chair is described as having "midcentury appeal with a distinctively modern twist," thanks to its sharp angles and oversize appeal. The durable, weather-resistant fabric makes it perfect for a poolside seating area, while the classic design allows it to double as an indoor statement chair. 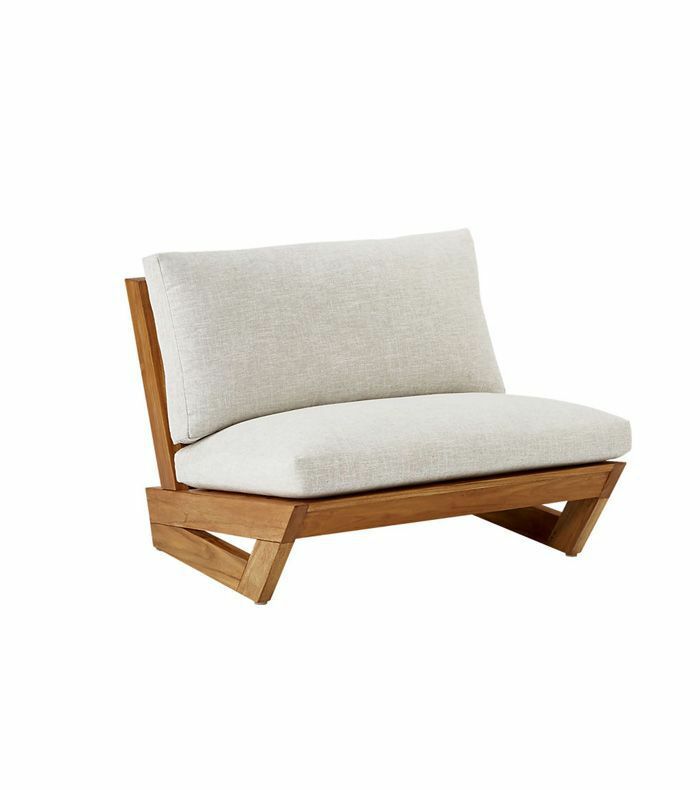 Just remember to store the cushions indoors when not in use over the summer, and add a throw pillow and blanket come winter.Shop our favorite piece from CB2's new outdoor collection below.